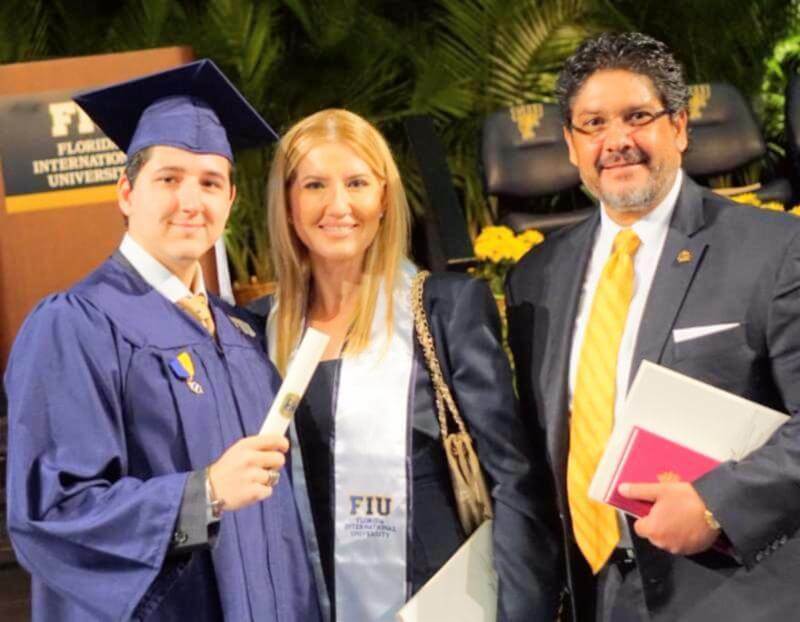 Today we reflect and celebrate with you on the outstanding work and success of our beloved Florida International University — Marile’s and our eldest son AR’s alma mater. FIU is ranked as a top 100 public university in the nation, according to U.S. News and World Report, and a top research university — recently retaining the Carnegie R1 classification for highest research activity. We also proudly announce that Marile will be Chairing the Dean’s Advisory Council for the Steven J. Green School of International and Public Affairs (SIPA). As Chairwoman, Marile will also be leading her 2nd — multi-million dollar capital campaign as part of “Next Horizon: The Campaign for FIU“. As you may know, we are proud Panthers — volunteers and supporters — Marile is a distinguished alumni, member of the President’s Council, and Torch Award recipient. Plus, AR graduated in 2017 from SIPA with dual degrees in Political Science and International Relations. Most recently, we opened our home for the very successful Inaugural FIU Green School Parents Reception benefiting SIPA’s various programs — maintenance of the School’s Study Abroad Campuses, assist with the costs associated with the Model UN Program (which is ranked 2nd in North America), and most importantly these funds are a crucial part of helping to provide for those students who are most in need of financial aid. Now, we are joining the Next Horizon: The Campaign for FIU that seeks to raise $750 million to — increase scholarships and student support; optimize 21st-century teaching; advance a vibrant, healthy Miami; accelerate research and discoveries; and escalate discovery to enterprise. The comprehensive initiative will advance the University’s Worlds Ahead progress on local and global challenges through serious investments in bold solutions — focusing on two pillars: student success and research preeminence. 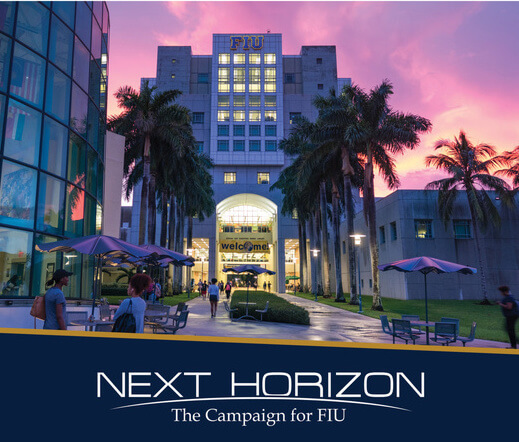 Join us this Saturday, January 26 from 12 noon to 5pm at FIU for Next Horizon’s campaign kick-off and celebration of FIU’s accomplishments. 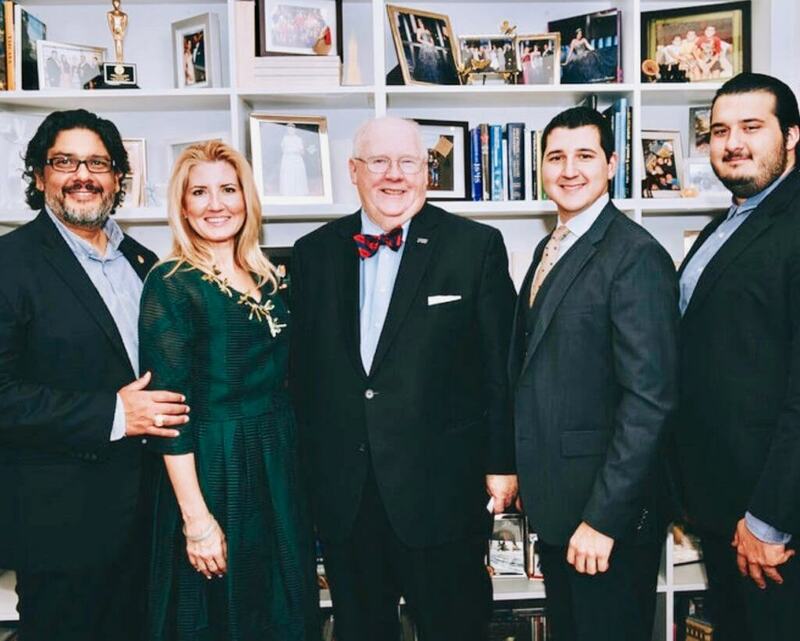 If you want to get involved or for more information on how you too can be part of FIU’s vision for the future — please feel free to contact us or our dear friend JC del Valle, Executive Director of Development at (305) 338-8589. As always, thank you for taking the time to reflect with us.Know we cherish your friendship and continued support.